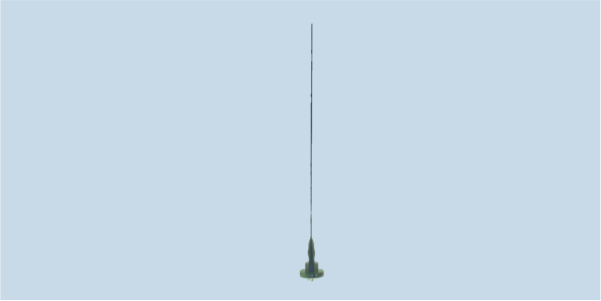 WB20CM is a low-profile wideband antenna for vehicle counter-RCIED and communications applications within the 20-140 MHz frequency range at up to 100 W RMS. WB20CM is a 1.6 m whip with spring providing good performance out of a low-profile radiator. It requires a groundplane of at least 1 square meter for proper operation and has great radiation pattern, with no pattern break-up, and less than 3.5:1 low VSWR across the entire frequency band. It can handle 100 W RMS power and mounts with the standard US four-hole or 3/6 NATO hole pattern.